If you know folks in the Atlanta metro area interested in questions of international solidarity and anti-imperialism, encourage them to join us next week for these two events. 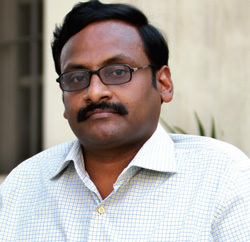 Professor G. N. Saibaba is a social activist and public intellectual specializing in Dalit and Adivasi social movements. He is well versed in human rights issues and is an active opponent of Operation Green Hunt and the Indian government's war on the peoples of India. Professor Saibaba currently teaches literature at Ram Lal Anand College, University of Delhi. He completed his doctoral work on the disciplinary formation of Indian English literature examining it as an alliance between British colonialism and domestic Brahmanism. He has published several articles in journals and contributes to popular and commercial magazines on wide ranging contemporary issues. He served as the editor of Peoples' Resistance, a popular magazine in South Asia between 1996 and 2004. He is presently serving as the Joint Secretary of Revolutionary Democratic Front (RDF). For more information contact Kali Akuno at kaliakuno@gmail.com.